To begin, let’s look at what happened in 1980 and why gold traded up to $875 in the first place. As Jim Sinclair has said many times, gold “moved in a manner to cover the value of foreign held debt of the U.S.”. He has also said “$50,000 gold is possible and it may turn out that this figure is far too low”. Before you laugh and start firing spitballs at me or Mr. Sinclair, I remind you of his call of “gold at $1,650 per ounce by Jan. 2011”. He said this when gold was $350 per ounce or so and the year was around 2004 if memory serves me correctly. He was called a nut job and far worse …he was correct in retrospect and off in his timing by about eight months …SEVEN YEARS AHEAD OF TIME! thank you bill. this would yield 300x the current price (in dollars of course). this makes sense and I’m certainly not laughing, only stacking. $5,000 during a U.S. national bankruptcy would be stupid low! I’m convinced this is REALLY is coming and surmise that both our sums will be woefully conservative. Promises made and broken are not worth the effort to listen to! Which unfortunately, is exactly what the US dollar and the government has based their credibility on! Broken promises. Whereas the personal ownership and stewardship of gold and silver ALWAYS deliver their promise of wealth protection, whatever measure of valuation is used. Good article. the number could be low by many multiples. Bill: My feeling is that the wall, or the cliff that the can is being kicked toward may arrive a lot sooner than you think. We have definitely passed peak silver on this planet and I’m sure that the banksters and the Pilgrims are well aware of this fact. They are not going to wait for the 20th year; you should see lots of demand starting in the 10th year which is almost here based on the USGS prediction in 2007; in fact Ted Butler feels that JPM is already hoarding 100s of millions of silver ounces in their proprietary account. The reason I am stacking is for my grandchildren and I am very patient for I know that the next major resource that will become more valuable than oil will be water, and millions(perhaps billions)of ounces of silver will be required because of its unique purification properties. yes, many uses and growing. I think Bill it’s better to value Silver (Real money) in real money terms. Dollars are ambiguous and becoming more so, what are they? Debt? IOU’s? Counterfeit? A belief system? Because what ever they are they aren’t money, they carry some criteria of real money in as much as they are divisible and are internationally accepted (for now) but they are not a store of wealth, and in fact it could be argued they are infact the very opposite to storing wealth. So to talk about silver in terms of how many of the above worthless counterfeit IOU’s it’s worth is pointless. Will it be worth a weeks wages of an average worker? Or a months labour of a builder? This is the statistic that we want to know, but not even you Mr Holter can answer that one. Your teaser question was just that, it makes mathematical sense for sure but I doubt will bare out in reality. (unfortunately) what ever it is truly worth will not be too long in the waiting judging by current events. thanks Andy, you are correct but most readers think in terms of dollars. Love your use of the parable! At that time, they had honest work for honest wages, so burying the talent(i.e. gold/silver/copper) was a limitation to wealth creation, since no one would trade for “receipts”(paper promises). Today, if we could work with the “metal” as payment, no one would have to even think of burying it. We have been duped into working for the “receipts”. How dumb is that? BUT- we still have the opportunity to exchange those “receipts” for the “metal”- and at a rigged lower price. Why wait- get it while it can still be gotten! “Receipts”. = Currency = Nothing more than a note of zero duration without coupon. Worthless, except for a “belief”! But $5000, is a woeful underestimate, for when, not if, the FRN evaporates, silver will go to infinite, just like gold, as the FRN goes to zero, but the measured practical end game, is at that time just before the event horizon, when prices are literally taken off the boards, all together, and that would be at about $2,000,000/ozAg. “approach infinity” as I finished the article with. Mr Holter, thanks as always. In my attempt to get others to understand what is occuring I recommend a few documentaries and writers. You are often included in my list. I tell the “student” that what I am presenting them with is a crash course on the same subject taught by different teachers and combined it is very comprehensive. 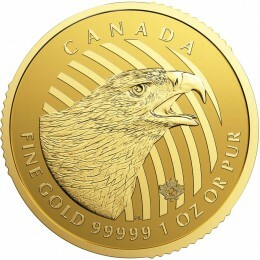 One of the recommended lessons is a power point presentation by Mike Maloney called “$20,000 GOLD” which covers much of what is in this current article of yours though he uses many charts (math)to help make his points. Math is a beautiful thing. I tend to believe that things will be quoted in dollars it is just that we will use the word literaly as the founding fathers intended it to be used as the definition of what 371.25 grains of silver represents,and not what TPTB have perverted it to mean through thier propaganda by printing it on thier Federal Reserve Note fiat currency. As this collapse occurs part of the process will include an education for the masses of what is and isn’t real. The masses can learn now or they will learn later but they will learn,hopefuly. I highly doubt we will go back to Constitutional dollars. why not return to the good old working system? the constitutional dollar? the true gold/silver standards? they cannot allow them to fall from grace? they rather disappear like hitler? they will survive and become the “sith”? they only know war lords as their life-purpose and cannot possibly accept peace as common citizen from themselves and for all? why cant you go back and recreate history that was and had worked in the 20? even if from scratch or very little? fun questions: also if/when? the dollar goes, do you think the land will be rename to A NEW NAME? do you think there maybe a geography changes? yes, very big topic and many moving parts but you are correct, something very big will change. acting as agent of the government? yes. Go on a silver standard? no. Andrew Hoffman (perhaps you’ve heard of him) often speaks of the drive by shooting in gold and silver in the spring of 2013, the week after Amerika’s first Kenyan born Muslim president and the fine folks at Wall Street met. Gold broke below its key $1525 support and silver was clocked for about $5. Now, we find out that these same humanitarians are again meeting, tomorrow, April 17th. My question is thus: Do you foresee another drive by shooting (similar to the spring of 2013) for gold and silver before we move to [insert price here]? Much thanks. it is possible but it does not matter. Haven’t had time to read your articles here at milesfranklin as of late, and I miss the charts and graphs at Harvey’s place. So when AIIB gets up and running expect a new world reserve currency to be negotiated rather quickly, perhaps an interim currency basket with the US on probation. In regards to the state of monetary meltdown…..
WE ARE IN A THELMA AND LOUISE MOMENT. We have just broken through the guardrail and are about to fall off a cliff. Those that choose to ignore this reality will suffer greatly. Those that refuse to recognize the evil in the world will simply not be able to cope when reality overwhelms them. let’s see what the reaction is to Greece. This sure just has gotta be gettin’ close to the end now, yes? Fiat EUR IOUs are not good anymore so make up an even fakier IOU? Geesh…and gold doesn’t even budge up 0.0000001…and people go along with this still even now? you get it! …so few do. When those dollar values happen, who will the buyers be? 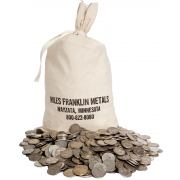 Will precious metal dealers still be buying from stackers who want to sell off a few? when gold goes “no offer”, anyone looking to sell will have bidders knocking their doors down. Hi Bill, I too first learned of you and your work/writings several months ago through Greg Hunter’s site “USA Watchdog” and consider myself fortunate to be able to tap into your take on things financial & geopolitical. Also greatly value the comments of many of your readers, intelligent, succinct (mostly! haha), and absent of hype or personal attacks (thank goodness!). Have been avidly tracking the physical silver market for the past 4 years, patiently waiting for things to come back down to earth so to speak. I believe unequivocally we have a window of opportunity right now for acquiring physical .999 metal at what will be looked back upon in the not too distant future as an unprecedented low cost of acquisition. And all in exchange for digital or paper $$$ that by any legit measure have become nearly worthless, backed only by the barrel of some big guns, figuratively and literally. Never thought I would see the day when things would become so blatantly corrupt & deceitfully distorted in the US government and financial markets, however no one willing or able to see the facts for what they are can argue that point. Unpleasant as the truth may be, individuals’ and entire families’ survival require one come to grips with the inevitable/unavoidable. That light at the end of the tunnel? It really is a runaway express train heading right for us! Thanks so much for your candid and no-holds-barred approach to where we are and how to navigate these uncharted waters. thanks Alan, and fortunately the comments section has stayed “civil” and on point, unlike some others. Great article Bill. As you and Mr. Russell point out the most important rule of investing is not to loose your money. The majority of “investors” do not understand this or the times they live in and recklessely invest their money in one risky scheme after another chasing yield while ignoring the assets that have preserved wealth throughout history. Since the entire system is rigged in favor of a tiny minority and against the rest of us this is indeed the time to bury you’re treasure to shield it from the coming carnage. Bill,surely you must realise that Silver will go into permanent backwardation, long before anywhere near a Comex market price of $5000. But the COMEX will NOT be irrelevant Bill . They are merely the arm of the government and determine all the precious metal prices . The manipulation is blatant and as Jim Rickards says they should be embarrassed ,but they are not because they are protected against prosecution. sorry, you are wrong. When they cannot deliver product they will be irrelevant. Bill, they, Comex, are not delivering now and likely haven’t for years because it is basically a gambling den. The problem is there is nothing to stop naked shorting, with leverage! And the other problem is people are selling metal,particularly gold to raise cash because they are over leveraged or simply need to make payments. Anyway the whole system is stuffed. Forget Comex…when gold goes NO OFFER there will be no trade whatsoever worldwide and hundreds of millions of what B.O. calls ‘folks’ will be lucky to get a feed. And the last place I would want to live, as much as I like the place and the people I have met there ( the good old US of A) is America. so the question then becomes “where do you hide?”. Where to hide is a good question. 90% of the world’s population live above the equator. Therefore most of the destruction,unemployment and famine etc will occur there. In the event of nuclear war I suggest the south east coasts of South Africa, Australia and New Zealand as the best and safest where the fallout will be least,the climates (haha) are good and you can easily live near small towns or in the bush with just a tent, fishing gear and a rifle. I am with Bill on that one.Relevance of Comex in the future. In any event the physical Asian market bid and ask volumes will dwarf everything else I suspect. I for one am just sitting back and waiting this out. My only fear that the entire system crashes and the World is a blaze in chaos. The South Sea Bubble went a lot further than we have so far. I can imagine several more years of parabolic debt growth with complete monetization. We haven’t seen capital controls yet. We see no threatening groups in the streets. We haven’t seen any great changes in tax policies, or such. The Control Group has many cards left to play. I predict we will all think this has too end soon— as we see 2016 on New Years Eve. I think we are in the half time period, with the real fireworks somewhere over our horizon. that’s what makes horse races, I believe we are VERY close to the end, Greece will be the canary in the coal mine. 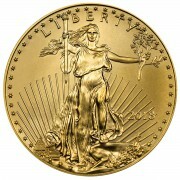 $5,000/ per ounce, I think the dollar will only be a memory; however 6 ounces for a new truck, I could live with that. or seven, for a diesel, a motor that will run forever. 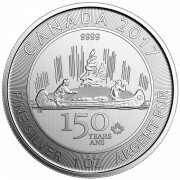 Since I’m 150% invested in silver— I hope you win this one. margin is a dangerous thing! I love the idea of a bunch of outcast loons (us) waking up one morning as the worlds wealthiest outcast loons. Serious q. How much is enough? If silver did hit 5k an oz, how would the cost of living be? Same, down, up? Significantly? unless you are retired and cannot work, “enough” is the amount to allow you to start another business in the new system. There have been a wide variety of estimates on the future price of gold and silver from a plethora of experts/commentators. And be in no doubt, it IS going up, sooner or later. But, since the dollar value of PMs is at least theoretically meant to reflect the value of the dollar itself, my main concern is that prices of $5,000 silver or $68,000 gold may be irrelevant if it is accompanied by a crash in the dollar and bond market. As you say, purchasing power will be what counts and maybe nothing will be quoted in dollars anymore. And that’s why I’m sticking with my PMs. I don’t view my assets as an investment, just an insurance policy! it may be truly irrelevant in a world ruled by Mad Max …but you will have some hidden wealth to start over with. i start to have doubts if that was the right choice. as long as you hold the metal, you can pay the debt later with the sale of the metal. Leverage is OK if you can make the monthly payment comfortably and not in crazy amounts. Stackers need to remember PM’s don’t live in a vacuum, their value will always have a relative value to other goods. Earlier I made “tongue in cheek” remark comparing 6 oz to the cost of new truck; but in reality the truck will also increase in cost. If at present it takes 2,000 oz silver to buy a truck, most probably in future this ratio will hold. The ratio we as stackers will overcome is the ratio of paper to needed goods. So the question is how much do I need to stack? IMO one needs at least two yrs of living expense in today’s $ invested in PM’s at today’s prices. Of coarse if one has saved enough for retirement today and puts it all in PM’s, then one should have enough for retirement in the future. EVERYTHING has relative value to everything else. It kind of cracks me up all these people who still think gold is a useless relic compared to the almighty dollar. I don’t think people understand a thing has whatever value people believe it does. Tulips and puka shells come to mind. Gold will fly when people lose confidence in fiat. When that will be heaven only knows. Especially confidence in the last bastion of currencies the U$D. People have much invested in the idea that the dollar is and will forever be king. They will not give up that belief easily. yes on all points Kinsey. If silver and trucks are relative or equal then why stack? Will worldwide demand for trucks increase exponentially when the reset happens? Quality assets are very good and needed for survival but gold and silver will afford you opportunity like you cannot imagine. correct …and a little more portable. After the reset there will be tremendous opportunities in production if a person is financially positioned to take advantage. Trucks are not a great store of value; but they are a useful tool in production. Yes, a truck is a real asset, but it is also important to consider how much any asset may be denominated in dollars. Practically, the truck is not transferable more than a few hundred miles without incurring a lot of cost in transporting it, and also may be less valuable elsewhere since other types and sizes of trucks are common in those places. If economic activity is affected by a currency event, the value of a truck (or real estate, or any other item whose utility is tied to that economy) may fluctuate as well. the reality is everything fluctuates versus everything. Thanks Bill. Do you think the US will ever be forced to settle its 18 trillion debt in what ever amount of gold it actually has to make gold soar in dollar terms, or will the China gold price reset or the paper gold collapse essentially accomplish the same results? forced”? No, the debt cannot be settle except fictionally. Some $18 Trillion in Federal Debt does not include about $200 Trillion in net present value of unfunded liabilities, per Professor Kottlikoff of Boston Univ. The USA is broke and we are rapidly becoming the USSA. People need to think about reality and stop thinking about how they would like things to be !!! Our federal govt & federal reserve are totally corrupt and cannot be salvaged ??? If the federal govt can be salvaged, we better get started immediately, if not sooner. yes, I used the $18 trillion number of on books debt rather than the whole enchilada of future promises. Where is the weakness in the dollar let alone the collapse? There are no signs of this. In fact, the dollar has been strengthening against all currencies. The U.S. is going to have this Trans-Pacific partnership (TPPC) soon since it is on a fast track. They all accept the U.S. dollar. So this thought that the dollar will not be accepted by anyone is just not happening and made up. I see gold and silver could be revalued in the market by China, others and the new Singapore physical gold exchange but it would have zero effect on the value of currencies. You just become wealthy by the revalue of gold and silver because you invested and speculated in it based on the supply/demand fundamentals and the extreme futures shorting and rehypothecation of the metal. So don’t diss on my theory because I am entitled to have my theory just like anyone else has theirs. OK, I won’t diss on your theory but I disagree with most all of it. The funniest is “gold and silver can be revalued with no effect on the currencies”. Please think about this whopper? And sorry, the global use of the dollar has been waning for years. Last year I did the same formula of gold price to debt ratio and found that half of the U.S. debt is held internally (Pension funds, banks, etc.). I came to the conclusion that this debt could be paid back through confiscation of private retirement and/or pension funds along with bail-ins. I came up with about 32,000 per ounce. I then realized the U.S. would never revalue back to gold without defaulting on debts (printing their way out) and looked to China and the producers of the world to initiate it. I then based my formula on global trade and consumption. After removing uncollateralized credit and one-for-one trading (wheat for oil), I came up with approx. 26,000 per ounce of gold. that assumes we have the gold. my assumption is we don’t have the gold. My assumption is the world is going to demand it (through China’s lead). That is why WWIII (banker’s war) is a given unless the world can kill the dollar quickly. The AIIB membership was a clue. please see my article for Mon. or Tues. regarding Harry Dent’s fantasy. Bill, What in the world was going on yesterday with the global shutdown of Bloomberg terminals? Surely not an accident, with the perfect timing. Weird times at Weirdity High School. Something tells me “IT” has already begun. Maybe only 5 more months left before the super-volcano top blows off. I asked my bank if they were affected, they were not but they went down on Wed. for about 10 minutes. I asked the teller if it had ever happened before and she said “not to her memory over the last 3 years”. Right, and what’s even “funnier” was this happened exactly at the same time the big shots were in a meeting in Washington to discuss: What to do about gold, Chinese yuan, BRICs, new SDR with basket of currencies, new AIIB bank etc. etc. Didn’t you say a while back, that they consider it impolite to bring about big changes without giving a fair advance warning? Well, the world has just been served a good enough warning now of potential market closures, market gaps & what not. Those who can’t read the tea leaves have only themselves to blame. not proper “etiquette” if they don’t warn. China just lowered their banks reserve requirements 1 percent to 18.5 percent. WHY? Maybe they are not in the strong position that everybody seems to believe and fear. We all focus on America’s problems and Europe’s problems but China’s problems could be just as big or even bigger. I do agree the BRICS want to severely limit or end if possible U.S. dominance in all areas. However, the future outcome(s) are not certain at all. I do NOT believe anyone who predicts future events and timelines for one second for they just want to sell something and line their pockets. It’s good to question everything but do it on balance. National Guards with drawn machine guns march through residential neighborhood streets in Ontario, California. And then we’ve braindead quotes like below inside this local story. Sheesh, makes me sick knowing about the sickening state this country has been reduced to. Ontario resident Ricard Ortiz thought it was great that his 8-year-old daughter, Nazareth, got to see the National Guard. She didn’t know women were in the military until last Saturday when they marched by. “I think it’s good to see the Army once in a while. Why not?” asked Ortiz. “They just kept marching and singing all the way to another street over there,” Nazareth said.